Likely contenders are gliding cockatoos and swooping magpies. 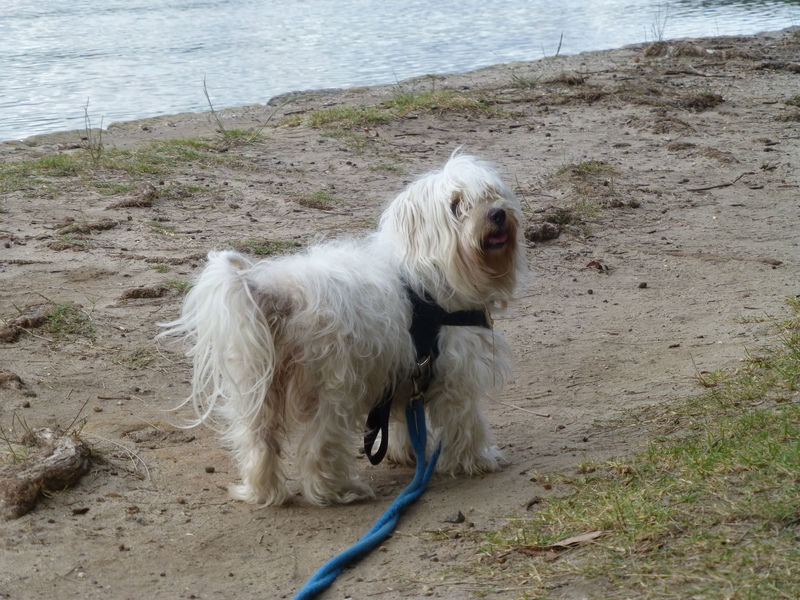 Readers of this blog will be familiar with our little white dog, Chicki. Meet Albert the Second and Victoria! Albert the Second is our newest addition. 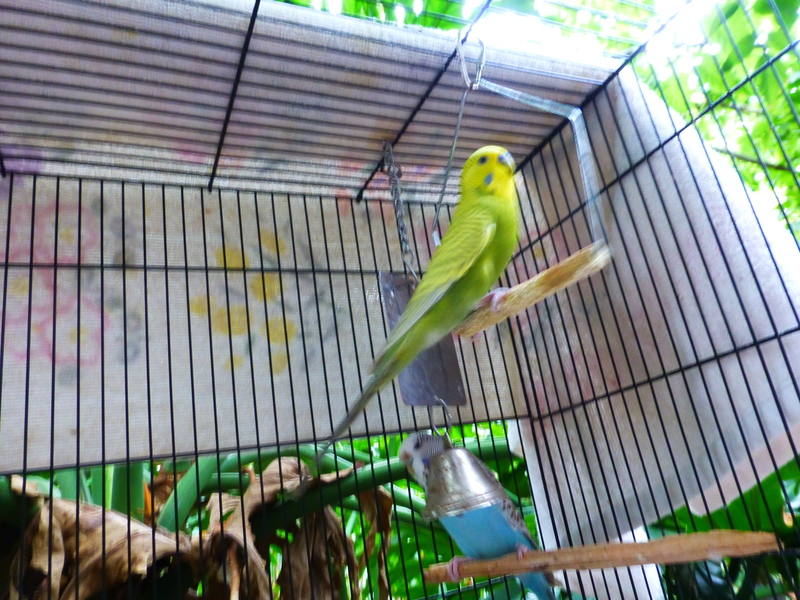 Months ago, Albert -our original budgerigar- passed away, leaving behind his blue-feathered partner, Victoria. We knew for certain that she was quite young: about three. And it seemed unthinkable that she would be left alone. So, when the opportunity to provide her with a friend came along, we made our choice. He’s a handsome fellow. His yellow and green plumage compliment his blue cere and dark eyes that are bright with intelligence. They spend part of each day outside, where the sounds of other birds keep them company. A pair of Spotted Doves seems to have befriended them, visiting quite often. I like to watch this through the window. Unfortunately, though, the native Noisy Miners seem quite aggressive, often dive-bombing their cage. It’s a stark reminder that these modern, professionally-bred budgerigars would never survive in the wild. In case you’re wondering, Chicki and the budgies get on just fine! Our Chicki seems to love nothing better than a walk in the park, especially when she meets one or more of her special friends. 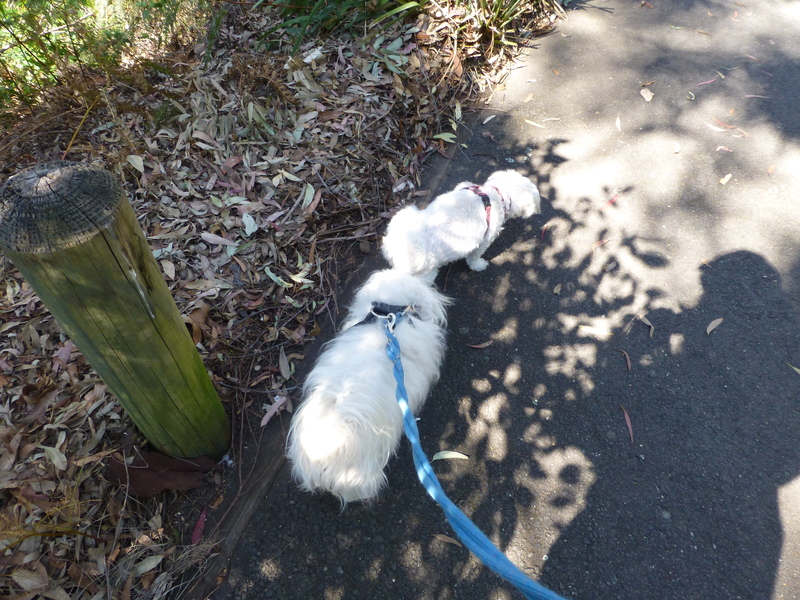 A few days ago, Lady Luck smiled on her, for she met that most affable of canines, the lovely mini Maltese Millie. Sniffing around together made for a delightful, bonding experience. What fun lies ahead in the bush! I’ve heard it said since childhood. Sometimes it’s hard for us humans to be patient, but modern canines seem to have mastered the art. 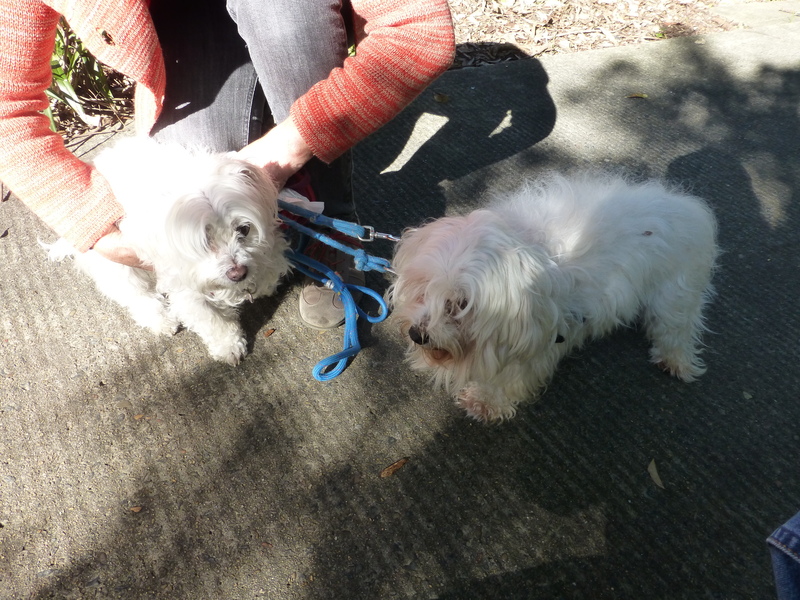 Waiting to be taken out, waiting for their owner to come home, waiting for a game, a treat….the list is endless. Our Chicki is a model pet as she waits for me to take photographs: of the surroundings, of people, of other animals, and of her. 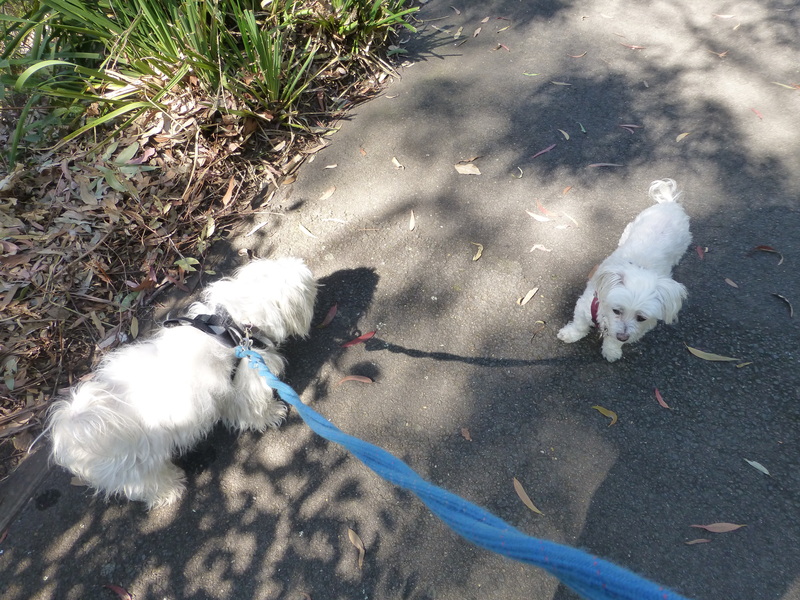 Our little white dog Chicki has made a new friend: Millie. 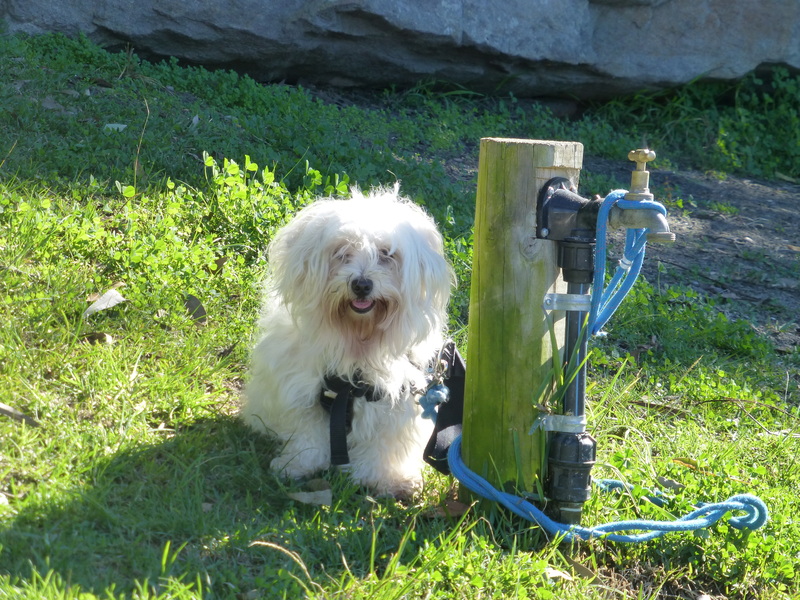 Like Chicki, Millie is a Maltese cross who loves to go for a stroll in our local bushland park. 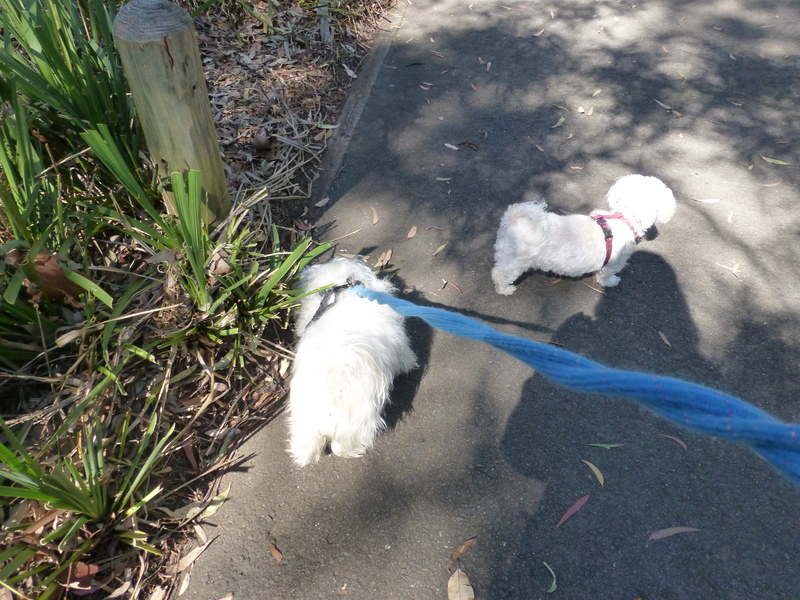 Despite the difference in their ages: Millie is a pooch of mature years, while Chicki is yet to see her third birthday: the pair get on beautifully. 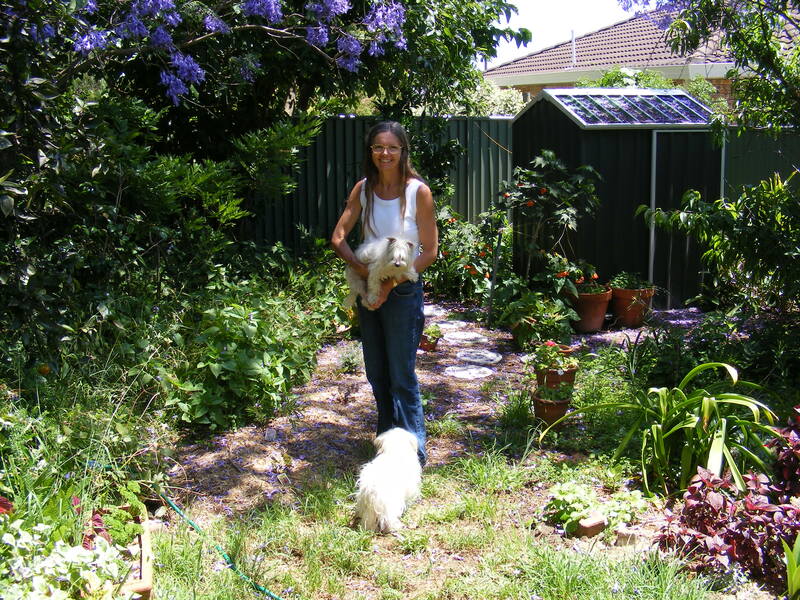 The joy of giving pleasure to our pets is priceless!